LEPTON enables you to run nearly all the websites most others current CMS promise you but has the big advantage of extremely short learning and training curves, and this is a great argument to those who work with LEPTON. LEPTON needs a MySQL database, the most common database on webspaces. LEPTON is easily installed and started, and - what is really important - can easily be adapted to fit the needs of nearly all web appearences. LEPTON-CMS is developed by users, for users and just because of this, it is extremely easy to learn and to use, and at the same time have the ability to be able to cope with quite big, extensive and demanding tasks. 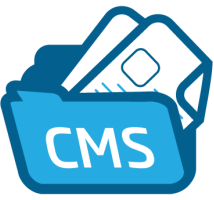 In fact, even though LEPTON-CMS are intended for the more professional users, such as coding and design freelancers, agencies and companies, it is just as well suited for your private home page, as for rather big company websites. This is achieved by the powerful and extensive plug-in system, and not to forget the wast possibilities that lies the ease you are able to adapt LEPTON-CMS to your specific needs. Sign up for our UK LEPTON Hosting with no risk to try our excellent service start from £2.99/month! ASPHostDirectory.com offers cheap LEPTON Hosting to all our new and existing UK customers. You can try our services before buy it. Get FREE 7 days Trial Hosting with us. There's no obligation to buy — you can upgrade to a more robust account or cancel at any time. No risk anymore, why wait longer?